2009 saw Día celebrations grow across the country. Children and families from California to Florida and New York State participated in library programs on or near April 30. 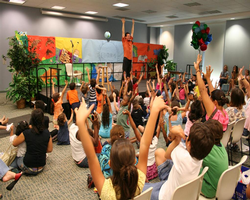 Programs included bilingual story times, guest appearances by authors, crafts, puppetry and musci. Many cultures were celebrated, because Día is about all children and cultures.